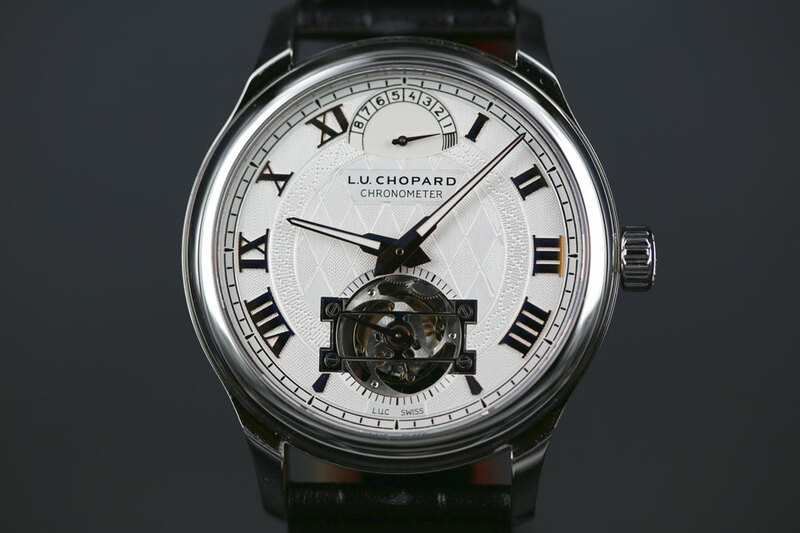 The two faces of Chopard’s most complicated movement to date. 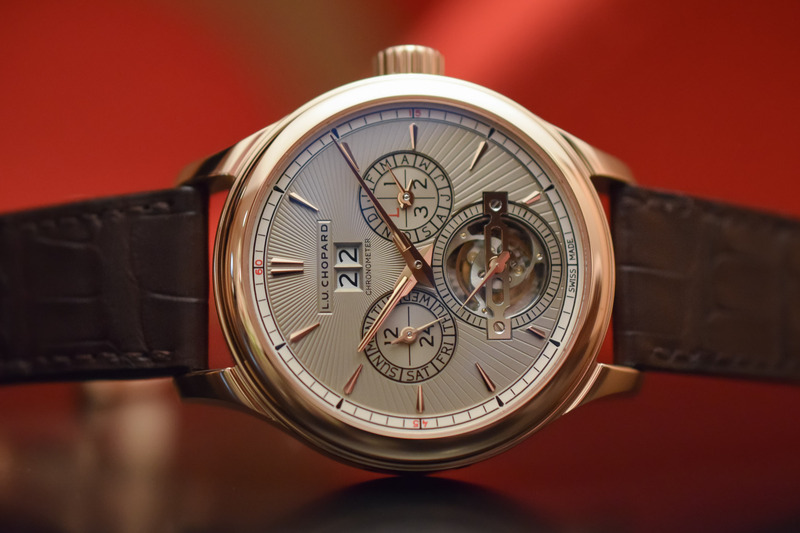 Chopard is now an established member of the select coterie of Haute Horlogerie manufactures and the brand’s ability to produce beautiful complications has resulted in this L.U.C All-in-One masterpiece and the equally impressive L.U.C Full Strike minute repeater, which secured the Aiguille d’Or at the 2017 GPHG. 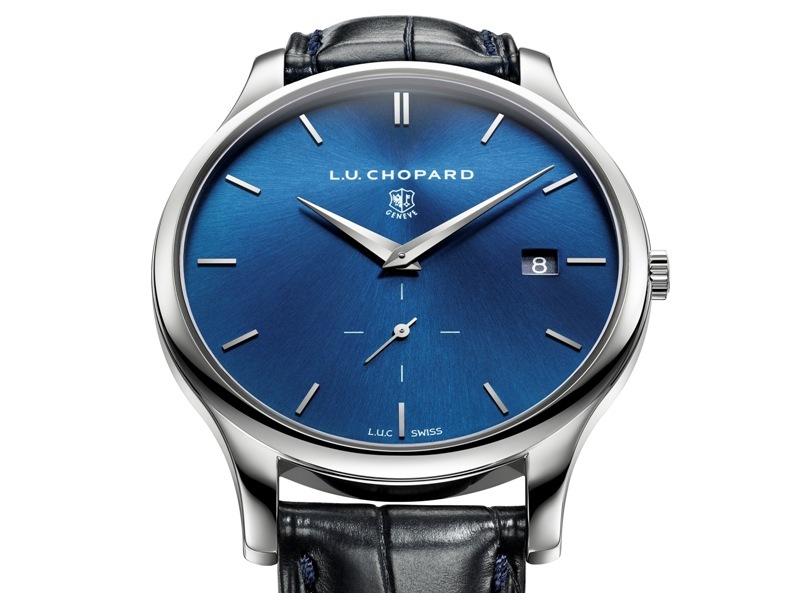 Equipped with fourteen indications spread across two dials, the L.U.C All-in-One was originally released in 2010 to celebrate the brand’s 150th anniversary. 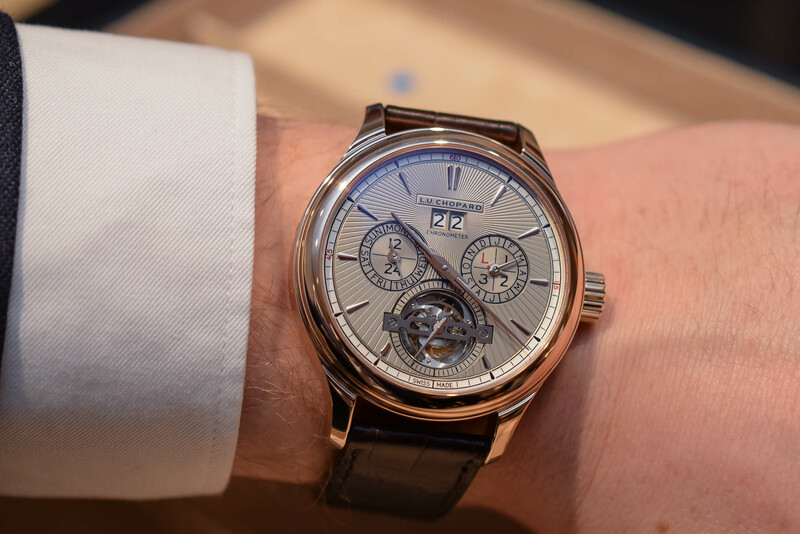 Revisited in 2018 in two limited editions – 10 in rose gold and 10 in platinum – Chopard’s most complex model to date is fitted with the same hand-wound movement, the same 46mm case, but features design tweaks that give it a very different face. Like the Roman god Janus, depicted with two faces, one looking to the future and the other to the past, the L.U.C All-in-One fuses Haute Horlogerie complications (perpetual calendar, astronomical functions and a tourbillon) with a contemporary design ethos. 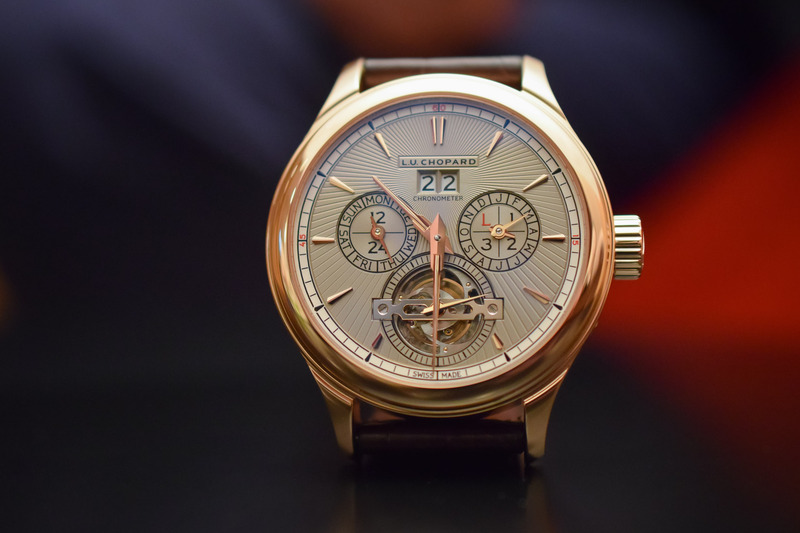 Spread over two dials, the fourteen individual indications comprise the largest number of complications ever offered in a single L.U.C watch. 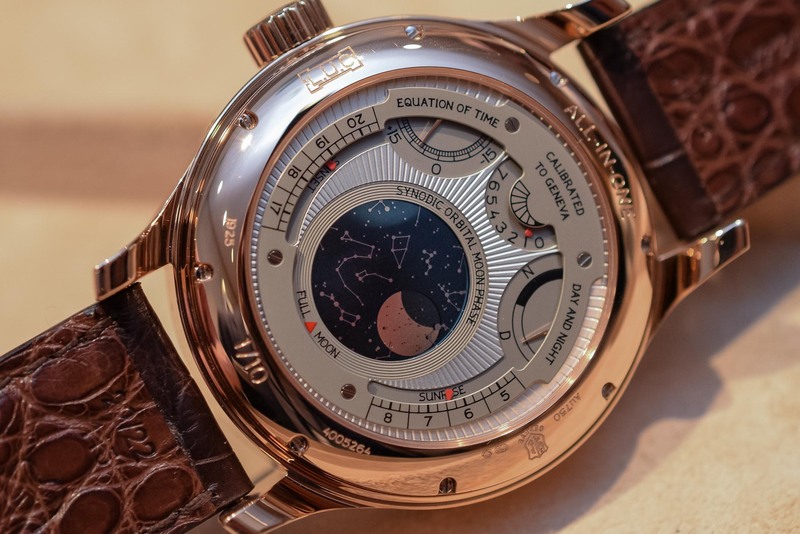 Before we even start to look at how the copious amount of information has been organised, a quick comment on the somewhat utilitarian, unpoetic name of this watch. More fitting for an all-purpose household cleaning product, I don’t think the All-in-One appellation does justice to the beautiful complexity of this watch. Done. Like its 2010 predecessor, the dial side hosts central hours and minutes, a big date display at 12 o’clock, day of the week and 24h indication at 9 o’clock, a month and leap year sub-dial at 3 o’clock and a spectacular tourbillon and small seconds at 6 o’clock, with the classic black polished L.U.C bridge spanning its diameter. However, unlike the earlier model, the design and colour scheme of the dial take a very different direction. 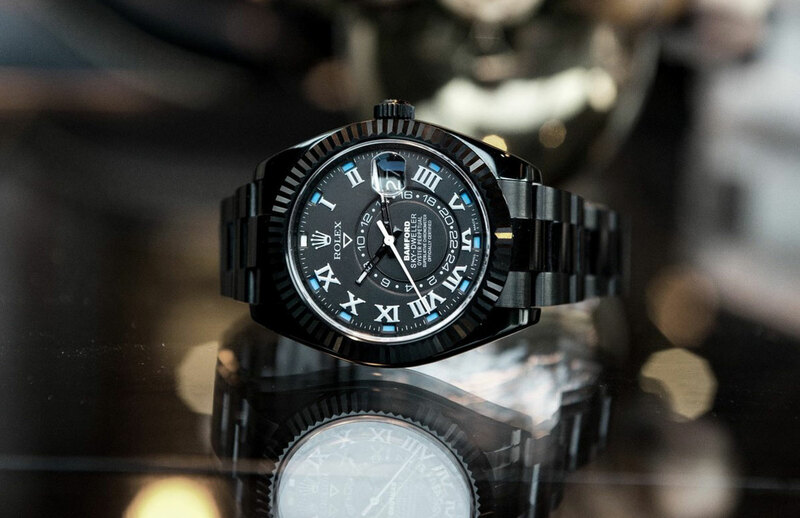 Gone are the imposing black Roman numerals and white guilloché background of the original, replaced with refined arrowhead hour markers and a magnificent guilloché dial. Presented in either a greenish-blue colour (verdigris) for the 18k rose gold model and a fashionable blue for the platinum, the solid gold hand-guilloché dial is a work of art. The verdigris dial is produced using a galvanic treatment to replicate the alluring patina that can form on metals like bronze or copper, only in this case the colour has been stabilised so that it won’t change over the years. Emanating from the big date window the guilloche ‘pleats’ grow in size as they extend into the southern hemisphere of the dial. The elegant sunburst guilloché motif and the applied (gilded or rhodium-plated) hour markers produce an almost Op Art effect that leads the eye in towards the indications while making the dial seem more spacious. The new, practically monochromatic dial colour, replacing the classic two-tone (black and white) dial, transmits a more streamlined, aerodynamic feel and brings a touch of contemporary elegance to the watch. The subsidiary counters replicate the same colour as the dial and are snailed and hollowed for additional contrast. A subtle dash of red to indicate the leap year and three markers on the minute track add a sporty touch. Turning over the polished and satin-brushed contours of the 46mm case (water-resistant to 30 metres, which is unusual for a grand complication) reveals the second face of Janus. 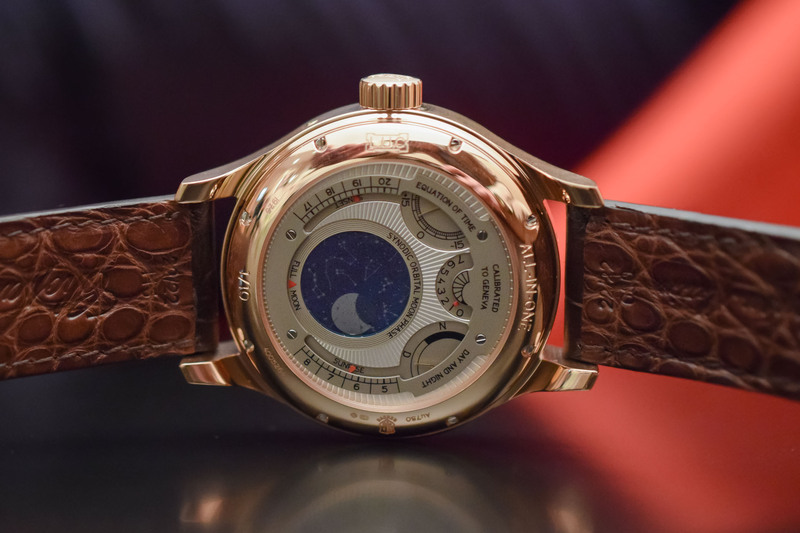 The reverse dial hosts an equation of time calculator, an indicator for the 7-day power reserve, sunrise, sunset and day/night indicators and a highly sophisticated orbital moon phase complication that will only lose one day in 122 years. All the astronomical functions are set to Geneva time, so no customisation possibilities for the moment. 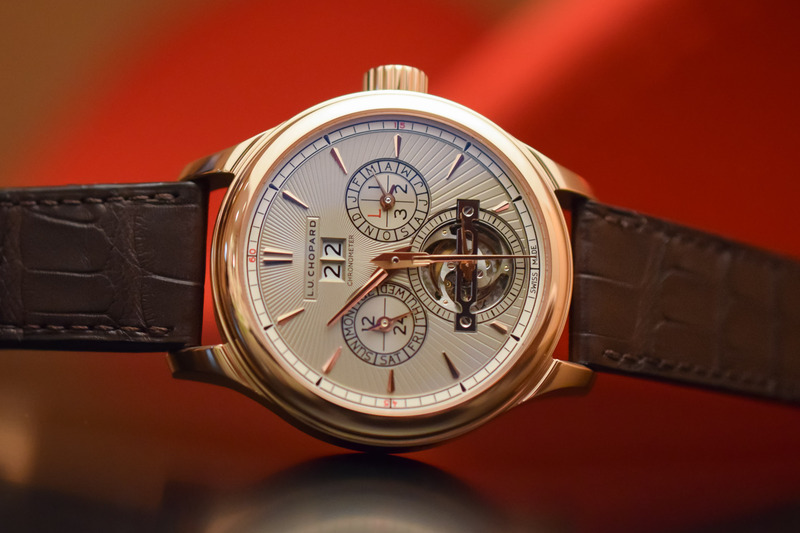 Given its multiple complications, the L.U.C All-in-One is a large watch with a wide girth, but its ergonomics allow it to sit nicely on the wrist. With five registered patents, the L.U.C Calibre 05.01-L is covered by the Hallmark of Geneva seal and COSC chronometer certification. The hand-wound movement, with its 516 components, is equipped with four mainspring barrels (Quattro technology) for a mighty 7-day power reserve. Even though hidden, the movement is superbly decorated. 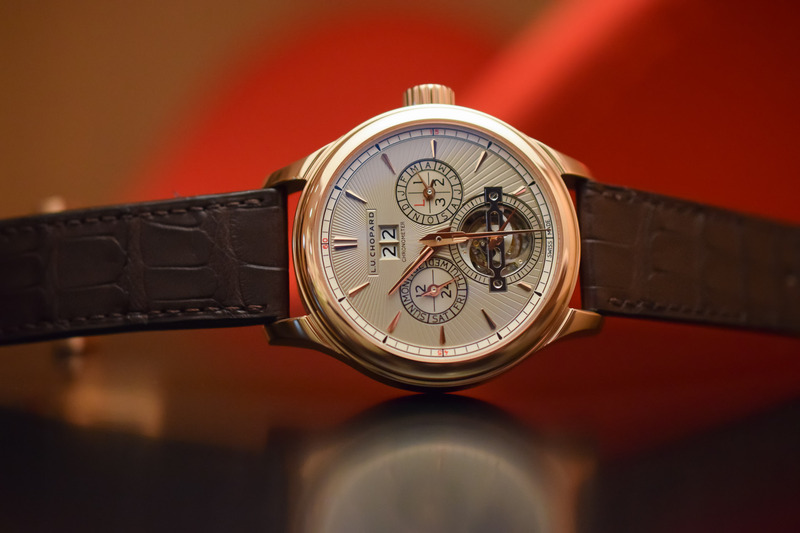 Presented on a brown or blue alligator strap, the L.U.C All-in-One model in platinum retails for EUR 374,000 and the 18k rose gold model EUR 360,000. 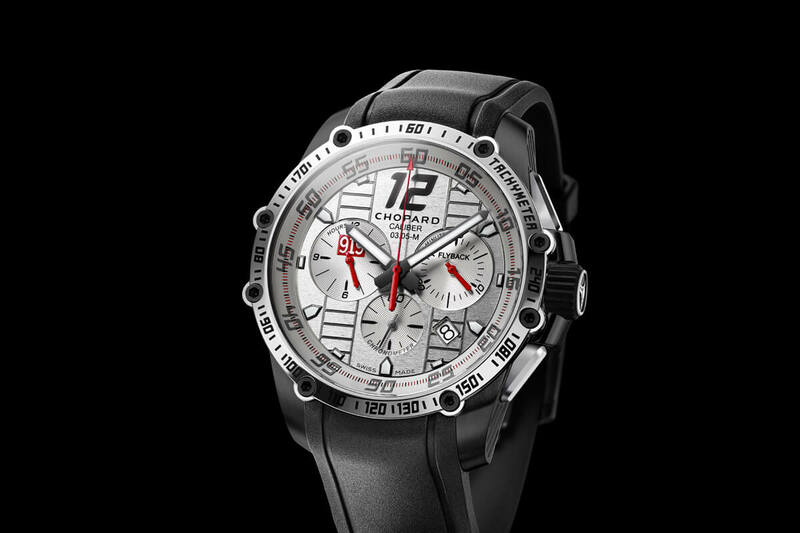 More details on chopard.com.